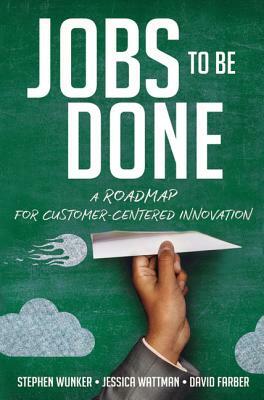 "Jobs to be Done is highly organized and expertly crafted...Company leaders looking for ways to institutionalize innovation are sure to find it here." --Foreword Reviews Let your CUSTOMERS drive innovation. Successful innovation doesn't begin with a brainstorming session-it starts with the customer. So in an age of unlimited data, why do more than 50% of new products fail to meet expectations? The truth is that we need to stop asking customers what they want . . . and start examining what they need. First popularized by Clayton Christensen, the Jobs to be Done theory argues that people purchase products and services to solve a specific problem. They're not buying ice cream, for example, but celebration, bonding, and indulgence. The concept is so simple (and can remake how companies approach their markets)-and yet many have lacked a way to put it into practice. This book answers that need. Its groundbreaking Jobs Roadmap guides you through the innovation process, revealing how to: * Gather valuable customer insights * Turn those insights into new product ideas * Test and iterate until you find success Follow the steps in Jobs to Be Done, and you'll arrive at solutions that are both original and profitable. STEPHEN WUNKER worked with Christensen for years, led development of one of the first smartphones, and now runs New Markets Advisors. He has written for Forbes, Harvard Business Review, and The Financial Times. JESSICA WATTMAN is the consultancy's Director of Social Innovation, and DAVID FARBER is a Manager at the Boston-based firm.